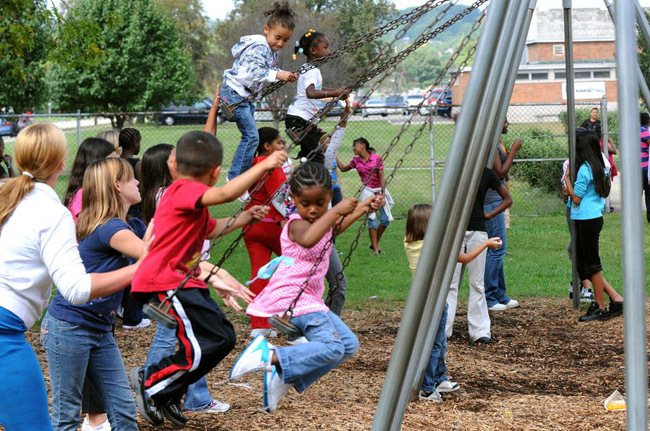 Recess is a lot more than just a free break for kids to play after lunch period. 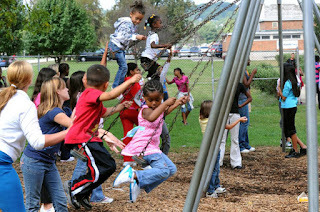 That free, unstructured play time allows kids to exercise and helps them focus better when they are in class. Now, a school in Texas says it took a risk by giving students four recess periods a day, but the risk has paid off beautifully. According to Today, Eagle Mountain Elementary in Fort Worth, TX has been giving kindergarten and first-grade students two 15-minute recess breaks every morning and two 15-minute breaks every afternoon to go play outside. At first, teachers were worried about losing the classroom time and being able to cover all the material they needed with what was left, but now that the experiment has been going on for about five months, teachers say the kids are actually learning more because they’re better able to focus in class and pay attention without fidgeting. "... not only are the students paying better attention in class, they’re following directions better, attempting to learn more independently and solve problems on their own, and there have been fewer disciplinary issues." “We’re seeing really good results,” she said, and those results make sense. The American Academy of Pediatrics says that recess is “a crucial and necessary component of a child’s development.” Even adults have a hard time concentrating and working their best when confined to a chair all day, so it’s amazing that we expect kids to be able to focus and learn without any way to exercise and blow off steam." When kindergarten students or first-graders are forced to sit still all day and allowed only one 15-minute break to play, as the Eagle Mountain students were before this experiment began, it’s only natural that they’d start to fidget and act up in class. Giving them regular breaks to play outside is good for their minds as well as their bodies. Rhea’s program calls for schools to add the four 15-minute recesses a day for kindergarten and first-grade students, and then adding another grade every year as it goes on. And teachers aren’t the only ones seeing good results from this program, either. Some parents say they’ve noticed their children being more independent and creative at home, and they also say the extra recess time has helped their kids socially. It’s a lot easier to make friends on the swing-set than when you’re all silently watching an adult explain math problems, after all.